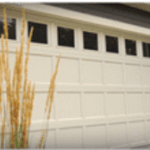 CHI Garage Doors, CHI Garage Door Dealer | Overhead Garage Door, Inc.
As C.H.I. 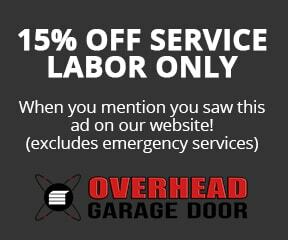 Factory Certified Distributor, Overhead Garage Door, Inc. is able to offer Chicago and surrounding suburbs factory pricing, friendly, knowledgeable service and customized installation. The C.H.I. 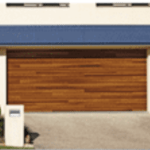 collection of residential garage doors includes a range of materials and styles to fit your home’s exterior. The raised panel design is a popular model for residential garage doors. C.H.I.’s raised panel design is available in Fiberglass and Steel. With short panel and long panel options, C.H.I.’s raised panel is designed to fit a variety of garage doors. The raised panels add definition, starting with a recessed edge and bringing the interior surface slightly forward for a timeless garage door design. C.H.I.’s recessed panel offers a traditional style with the look of a traditional wood frame and panel construction. A nod to the classic and ageless, the recessed panel is a great fit for home owners looking to preserve the aesthetic of their home’s exterior. The recessed panel design gets it shape from steel, embossed with a natural wood finish. This style is available for manufacture in Steel and Aluminum. Perhaps the most contemporary of C.H.I.’s residential garage door offerings is the flush panel model. The flushed style offers a modern take on the residential garage door with flush lines for a geometric silhouette and 3 window-style options. C.H.I.’s flush panel is available in Steel for a lasting, durable finish. This is a popular model among home owners look for to add a touch of simple elegance to their home exterior. Available in Wood, Fiberglass, and Steel designs, the Carriage House Overlay garage door by C.H.I. is a beautiful option for any home or business. This carefully crafted line is unique to C.H.I. and promises a detailed design that can stand the test of time. With window-options and attention to finer compliments, the Carriage House Overlay garage door is the perfect option for your exterior’s focal point. C.H.I.’s Carriage House Stamped residential garage doors are a recreation of historic carriage-style doors, a true testament to detailed design work coupled with value and durability. The Carriage House Stamped garage door is carefully crafted with Steel for a lasting design. The embossed wood grain finish replicates the classic motif reminiscent of carriage doors. The versatile Accent Planks garage door offering from C.H.I. is the perfect style for any home or business. Available in wood accent tones, the Accent Plank garage door is compatible with modern and traditional styles. The Steel design strengthens the Plank panels for a lasting style that will certainly be the focal point of your home’s exterior. As a certified dealer of C.H.I. garage doors, we can provide repair and maintenance for your existing garage door or install your new garage door. For more information about our variety of residential and commercial garage door offerings, contact Overhead Garage Door, Inc. and schedule your C.H.I. garage door service today.